Haworthias are small and deservedly popular succulents from southern Africa. They are generally of easy culture, of small and convenient size, more tolerant of modest lighting than many succulent plants, and come in many beautiful variations on a common theme. Though the small whitish flowers are less than spectacular, they are rewarding and very willing to come forth under diverse conditions. The real glory is in the succulent leaves, which, depending on species, can be variously colored in greens, reds, or browns (to near black). Some have leaves that are thin and bristly, others thick and fat. Some are plain, others are marked with lines, bumps, stripes, or dots. All these factors point to why Haworthias are very popular houseplants capable of being grown successfully indoors in all areas of the world, and outdoors where frosts are infrequent and of short duration. Many Haworthias readily offset, and therefore are easily passed along to friends or handed down from generation to generation. Many genera and species of plants are named after people; succulent plants are no exception. The genus name Haworthia commemorates Adrian Hardy Haworth, an accomplished British botanist and entomologist, who was born in 1768 and died in the London cholera epidemic of 1833. As an entomologist, Haworth is best known for his work on Lepidoptera (butterflies and moths). As a botanist, he is best known for his studies of succulent plants of diverse families (including New World cacti in his later years) and bulbs. Haworth named many new plant genera and species, though some of his names have been lost over the years due to taxonomic refinement. Two of his genera that remain and are well known and beloved groups to cactophiles include Mammillaria and Epiphyllum. Haworth has had several plants named after him. 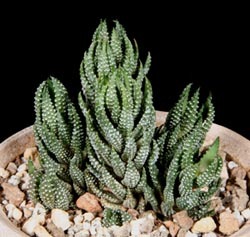 In 1809, the new genus Haworthia was created by the Frenchman Henri Duval in honor of Haworth. Prior to the creation of the new genus, these plants had been considered part of the genus Aloe. The first written references to Haworthias go back as far as the early 1600s when European colonists were discovering the botanical riches of southern Africa. Early explorers took Haworthias back to Europe and they have probably been in cultivation there for nearly 400 years. They are readily available from home stores, garden centers, even the floral section of grocery stores; rare and unusual oddities are available from succulent plant nurseries. In Japan, where horticultural uniqueness commands high prices, Haworthias with special markings, forms, or colors can sell for hundreds of dollars; more common but equally appealing forms usually cost just a few dollars. Because they stay small, a nice representative assortment can fit comfortably onto a windowsill. They are easily grown as houseplants in Wisconsin and, during the frost-free period, can add to the décor of the patio table or the garden bench. Haworthias are native primarily to the country of South Africa, with a few species spilling over the borders of neighboring countries. They are closely related to Aloes and are in the Aloe family, Aloaceae. At one time, up to not too long ago, Aloes, Haworthias, and their relatives were considered part of a very large lily family (Liliaceae) which has rightly been broken up into more meaningful units. However, older reference books will show Haworthias to be in the lily family. 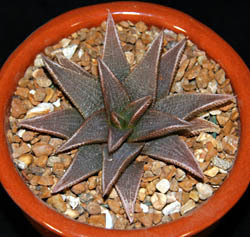 Two other related smaller genera are Gasteria, with red to orange flowers and about 15 species, and Astroloba, with about 10 species that have an elongated, columnar form. Besides their ease of cultivation, two other factors have made them a favorite group of both succulent growers and those just generally interested in gardening and houseplants. The first of these factors is their great diversity in form, shape and color. While almost all are of a general rosette pattern (the fan-shaped H. truncata – photo at right – being the exception), there is endless variation in the details. 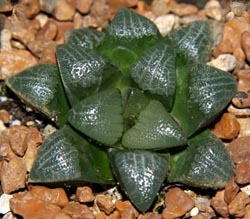 Although there are disputes amongst the experts as to what defines a species in Haworthia, it is generally recognized that there are at least about 60 named species and about 150 named varieties. Additionally, there are differences in nature from one population to another, and even two plants growing side-by-side in the same population can have quite different coloration or markings. Nurserymen have selected particularly attractive forms. Also, some enthusiasts are developing interesting and unusual hybrids. The other factor that results in their popularity is their small size. Individual single plants are usually in the range of 1-3” in diameter, and clusters of several dozen stems can fit nicely in a 4-5” pot. This allows for a diverse collection in a small space, such as on a windowsill or under a set of fluorescent lights. Haworthias are easy to grow as long as you keep in mind that they are succulents, and require the appropriate light, temperature, soil, and watering. 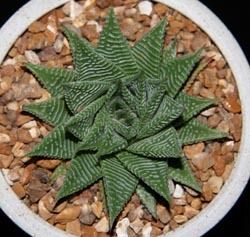 Although it is possible to kill a Haworthia, they are generally forgiving of the occasional lapses of ideal care. Light. The stereotypical image of cacti and other succulent plants is as desert inhabitants, living fully exposed in the hot, bright sun. Whereas large plants can survive such harsh conditions, many smaller succulents actually are found in the shade of rocks or shrubs. 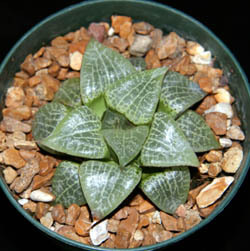 Although some Haworthia species can be found in full, bright sun, many live in more protected spots, and therefore are adapted to thrive in partial shade (though few look their best without at least some direct sun or bright light). This makes Haworthias well adapted to lower light conditions found in homes. They probably do best in an east or west facing window where they get a few hours of direct light daily, and bright indirect light through the remainder of the daylight hours. A south facing window would also be acceptable, but may be too bright for some species unless the sun is lightly filtered through sheer curtains. Haworthias do very well in sunrooms and greenhouses, though again many of them prefer to be located where they don’t get persistent direct sunlight, especially during the warmer part of the year. Haworthias grow very well under artificial lights, though they prefer more light intensity than provided by the standard fluorescent “grow lights.” A mixture of warm white and cool white bulbs gives both good light intensity and color balance. The darker and more intense coloration and the very compact growth which many growers find most attractive are developed from brighter light conditions. In insufficient light, leaves will elongate and plants will lose the richness of their colors (see photo, right). Haworthias make good accent plants on porch, patio, or deck and can be grown outdoors during frost-free periods. Be careful when you move plants outdoors. If they have spent the winter without much direct sunlight, don’t immediately put them into full sun outdoors or they may sunburn. Gradually move them into more direct light over a period of a few weeks. Temperature. Some Haworthias can survive a few degrees of light frost for a short period, but it is best not to take chances. They do best in the temperature range of 75-90°F. But they can tolerate temperatures into the low 40s, especially if they do not have continuously wet soil, and they will survive high temperatures into the low 100s, especially if they are somewhat shaded and have good air movement. Soil. Like most all succulent plants, Haworthias do not like their roots to remain wet for prolonged periods, so their soil mix should be well drained. A good commercial potting soil should be mixed with equal amounts of drainage material. Several options exist, including perlite (available in garden stores), aquarium gravel, poultry grit (available at feed stores and agricultural supply stores), or horticultural pumice (available at better garden centers or through mail-order succulent nurseries). Do not use sand as it is too fine and clogs the pores in the soil. If using a peat-based potting soil, remember that peat decomposes in a few years, resulting in an unhealthy soil. As some Haworthias are slow-growing and can stay in the same pot for years, there may be a tendency to forget to repot into fresh soil, a practice which should be done every 2-3 years. Watering. If the soil mix is well drained, Haworthias can be watered weekly in the summer months; less frequently in the winter. The soil should dry between waterings. Prolonged wet soil, especially when it is cool, there is low light intensity, and/or the plants are not actively growing, can lead to root rot, a common problem with Haworthias. Symptoms of a weak or rotted root system include stoppage of growth, reduction in plant or leaf size, or leaf shriveling. Often though, root rot does not necessarily mean the plant will be lost. If the plant looks unhealthy, unpot it and inspect the roots. Remove any weak or decayed roots, even back to the stem of the plant. Allow the plant to lie out unpotted for a week, then repot into fresh soil and begin watering carefully until it is apparent that the roots have reestablished and the plant has regained its health. Remember that a healthy root system is the best method for removing excess soil moisture (through the transpiration process). Therefore, when repotting a plant, try to use a pot about the same volume as the root system. If the roots are diminished, or a larger pot is desired, just remember to water sparingly until the plants are reestablished. It is difficult to generalize about the growing season of Haworthias. In nature, some come from winter rainfall areas and are winter growers, whereas others are from summer rainfall areas and are summer growers. For many species, the growing season is from late winter through spring (as the day length increases). Containers. 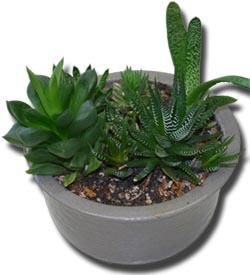 Haworthias can be grown in virtually any type of container, including plastic pots, ceramic, or terra cotta. Terra cotta pots breath and release soil moisture faster than ceramic or plastic. Shallow pots are generally better than deep pots, but some species have heavy, thick roots that ask for a deeper pot. Be sure that your containers have drain holes, and, if you use saucers, be sure that you empty any standing water promptly. Also remember to use a pot that properly matches the size of the root system. Many Haworthias freely offset and eventually form clusters much larger than the individual plant. It is better to repot periodically as needed to provide additional space for the expanding plant rather than put a small plant in a large pot expecting the plant to eventually fill the container. Because they stay small and have interesting forms, Haworthias are frequently used in succulent dish gardens. Propagation. Vegetative propagation, especially by taking cuttings, is the quickest and most common method of propagating Haworthias. The majority of species cluster from the base; the new young plants are often referred to as offsets or “pups”. In many cases, as soon as the new young plants are formed by the parent plant, they develop roots. In some species, as soon as the new plant becomes well established, the original contact with the parent plant is broken; when the clump is unpotted, the individual plants fall away from each other. In other species, the attachment to the parent plant may remain; this can easily be broken or cut to separate the plants. If you create a subsoil wound during the separation process the plants should be allowed to air-heal for a few days before repotting to avoid the possibility of pathogenic organisms moving from the soil into the fresh wound. Another method of vegetative propagation is used for those plants that never or only rarely offset. In such cases, individual mature leaves are carefully cut from the stem, along with a slight bit of attached stem tissue. Once the wound has dried, the leaf can be put into a well-drained soil medium and, in many cases, one or more new plants will slowly form from the severed leaf. 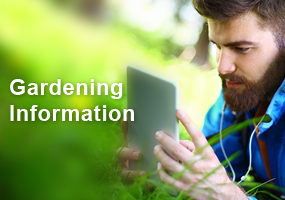 This practice is not commonly employed by the average hobbyist, but experienced nurserymen use it to propagate rare or slow growing plants. Haworthias can also be readily grown from seed, though seed is not commonly available except through specialist dealers in succulent plant seed. 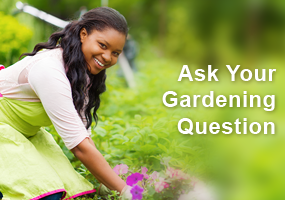 Seed should be sown in a well-drained soil mix and the soil kept moist until germination, usually within 1-2 weeks. The soil should not be allowed to dry significantly while the young seedlings are getting established. Pests and diseases. Haworthias are generally free of most pests. The one exception is mealybugs, which can be a common problem but easily resolved by physical removal or with standard houseplant insecticides. The most significant disease problems are root rots caused by poor soil or too much moisture. Occasionally such root rots can move into the plant stem resulting in the death of the plant. Because Haworthias are popular with the general public and are easy to grow, they can often be found in stores that sell an assortment of succulent plants, including the large chain home and hardware stores. Most better garden centers will have a selection of succulents including a couple types of Haworthias. 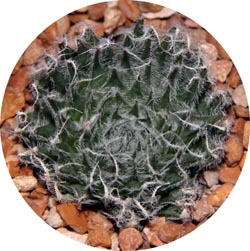 However, to assemble a truly representative collection, or to acquire some of the rarer or more interesting forms, consider shopping at some of the specialty cactus and succulent nurseries. Thanks to Wolfgang Werk for the loan of plants for photographic purposes. 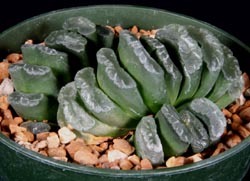 The Haworthia Society – the British-based Haworthia Society. The Society produces a journal called Haworthiad, conducts educational conventions for members, and distributes seeds. 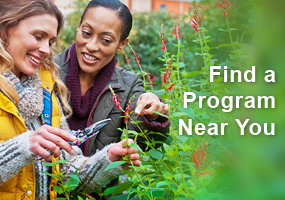 For “one-stop-shopping” for cactus and succulent information, including listings of nurseries, societies, private websites, and much more information, go to www.cactus-mall.com. Bayer, Bruce. 1999. 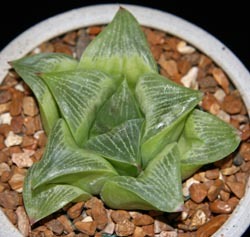 Haworthia revisited: a revision of the genus. 250 pp. Umdaus Press. It has lots of color photos and distribution maps, and also about 4½ pages on cultivation. Pilbeam, John. 1983. Haworthia and Astroloba: a collector’s guide. 167 pp. Timber Press. Some of the names have been changed, but there is lots of good information, including cultivation information for each species. There are lots of good quality color and black and white photos. Rainbow Gardens Bookshop is a specialty dealer of books on cacti and other succulents and has a complete listing of in-print titles on Haworthias. Visit their website at www.RainbowGardensBookshop.com or phone 866-577-7406. Haworthias are ideal for dish gardens, due to their small size. I found the information on offsets interesting, what a fun way to share your plant with others. I am so glad we planted some of these to take home in a recent MGV meeting. I am looking forward to expanding my indoor plant knowledge. I did not know about not using sand in the potting mixture. It only seems logical that sand would be OK since cacti grow in the desert. I have always admired the dish gardens with a variety of cacti but have been too intimidated to try and grow one. The Haworthia trucata are adorable. I love these types of plants, they all bloom and so easy to take care of. It’s nice to know some of their names. Those pesty mealybugs are a pain to control. You must be consistent. Amazing article. I will be adding these to my succulent collection. I love to share offsets with friends. Succulents are sure becoming favorites for many of my friends.